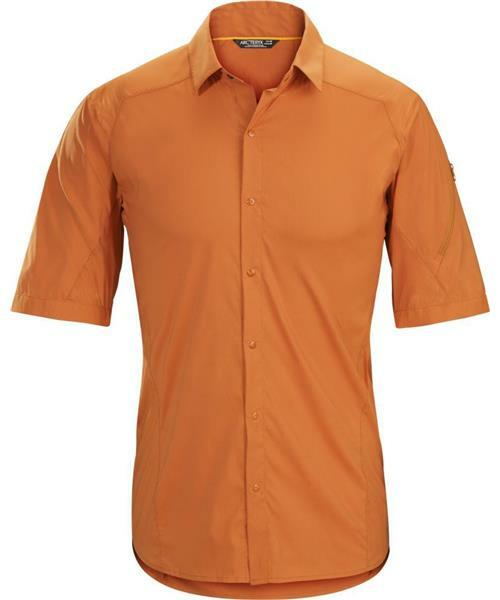 The Elaho SS Shirt is a short sleeve snap-front specifically built for extended trekking and hiking in hot weather. Made from Alatorre™, a technical fabric selected for its light weight, airiness and durability, the Elaho offers air and vapour transport, quick drying performance and resists pack abrasion. The Elaho is simple and smart, but its use-specific design does not come at the expense of versatility. Backcountry performance combines with a classic snap-front style that transitions off the mountain and frees the Elaho to be worn as a travel or casual piece.